Truck scales can be some of the most costly measuring equipment your company owns. I’m not just talking about the cost to purchase it and have it installed. Just a few pounds per truck can be the difference between being profitable and giving away tens of thousands of dollars in product. Somethings as simple as dirt, gravel, snow, and ice can cause weighments to be anywhere from a few divisions to hundreds of pounds off. This is why it’s important to make sure your truck scale is clean and free of debris between your inspections with proactive truck scale maintenance checks. Do a few pounds really matter on an 80,000lb scale? Imagine the cost of our goods being weight out equals $.045/pound. That’s less than 5 pennies. If our scale is weighing 60lbs light, that means we are giving away 60lbs of product per truck load. By the way, that is still within legal tolerance. Imagine doing that 50 times for the 50 trucks that come through a day for 20 working days a month. We’d be looking at giving away $2,700 worth of product a month. And $2,700 in product a month times 12 months is $32,400. That’s about the cost of a new scale. 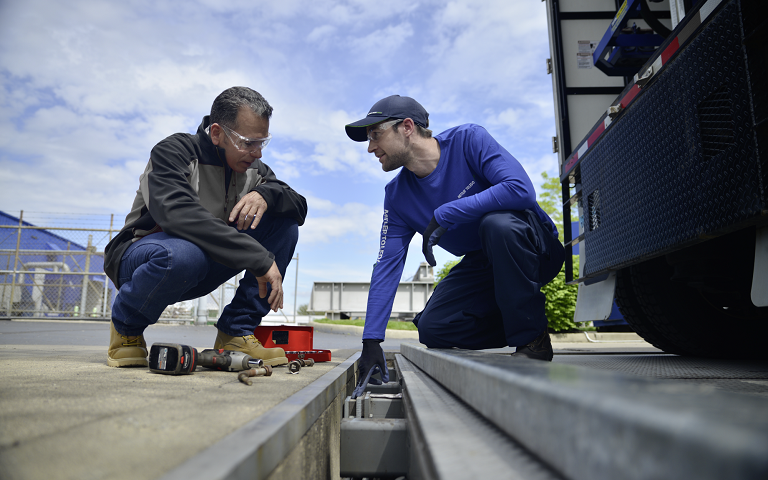 Waiting around for your next inspection or calibration isn’t a good way to be proactive. Here are a few things you can do to ensure the effectiveness of your scale between calibrations. You’ll want to pay special attention to any part of its surroundings rubbing up, leaning, or components that don’t seem to be level. Also, make note of any corrosion of any components such as end bumpers and gap covers. The most expensive part of a truck scale is the deck. Spotting something early on may prevent the need to replace the entire deck. Look for excessive cracking, broken welds, any steel that has warped or any other structural defects. 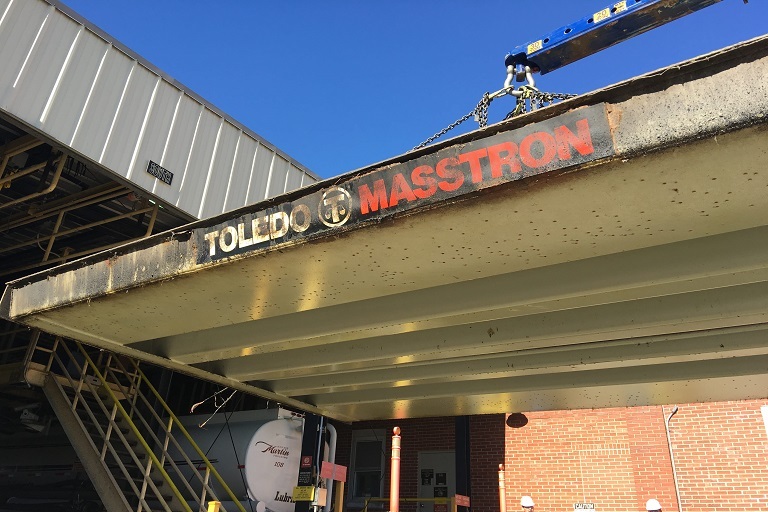 Structural integrity can be affected by the oxidation of the steel on truck scale decks. It’s important to inspect any new areas that may have had its paint scraped off as the correct thickness of paint protects against rusting and corrosion. Remember those end bumpers I mentioned a few paragraphs up? The maximum distance these should be from a pit wall should be no more than 1/4th of an inch. METTLER TOLEDO recommends 1/8th of an inch from the pit wall. However, depending on the deck material and the weather conditions, you may want this to be up to 1/4 of an inch especially for a steel deck in hot weather. Make sure these are not rubbing against the wall and not too far from the wall. We advise checking on this at least twice a year. Debris such as dirt, water, snow, and ice can build up in cracks and around load cells. Even the smallest amount of it can cause your scale to be off hundreds of pounds. If ice or dirt builds up between the load cell and the deck, it can bind or even lift up the deck. If it’s 11lbs on a scale that reads in 20lb divisions, your scale will read 20 full pounds light. This is especially important if your scale is in a dusty environment or during the winter with snow and ice. One of the number one problems with any scale is rodent damage to cables. Since truck scale cables are either in a pit or less than 12″ above the ground, they’re easy targets for rodents. Look for frayed, pinched, or chewed up wires. You could also eliminate more points of damage to wires by upgrading to a system that eliminates the need to terminate cables to a junction box at each module. Placing rodent traps near the scale will be a big help as well. 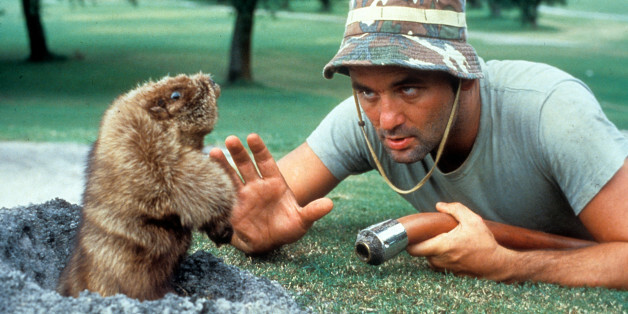 Bill Murray eye to eye with a groundhog in a scene from the film ‘Caddyshack’, 1980. Well… nothing is 100% free. But all this will cost you is the internal time it takes one of your scale operators to inspect the scale. But what if this wasn’t done, and there was an issue like a fraying wire? You’re not just looking at the cost of a repair, but unexpected down time as well. The scale could be in proper working order. But a scheduled downtime to fix something before it causes an issue is a lot less costly than waiting for a repair and calibration during peak hours. If you want to go the extra mile, you can download this Proactive Maintenance brochure for truck scales from our friends at METTLER TOLEDO. Being human, we’re limited to the physical checks of a scale. We may not notice something that could be causing a scale error internally. Fortunately METTLER TOLEDO has come out with the perfect solution to aid our human eyes. The PowerCell™ PDX™ load cell system offers a wide range of maintenance tools embedded into the weigh module itself. It even has software inside of it called TraxEMT™. Which literally stands for Embedded Maintenance Technician. This software monitors and reports any irregularities that could be occurring during the weighing process. As well as the ability to check live weight outputs for each load cell. If the operator notices the output of a load cell is more or less than usual, it can point them in the direction of a potential issue. The system also detects things like drift, temperature compensation, non-linearity, and hysteresis before a major problems arise. But the notification doesn’t simply stop at the terminal. If you have an IND570 or IND780, a notification sends to anyone you need via text message or email. Think about that for a second. Even if an operator misses something that can affect weighments, you ALWAYS have something watching your back. Sounds pretty awesome, doesn’t it? If you’ve made it this far and you’re still interested, you can check out this blog that goes a little further into the PDX weigh module. That’s okay, you don’t need a new scale to upgrade! We have upgrade kits that can retrofit just about any truck scale to a PDX™ system with keeping your same deck and construction. We’ve even converted an old lever system into a PowerCell™ scale!